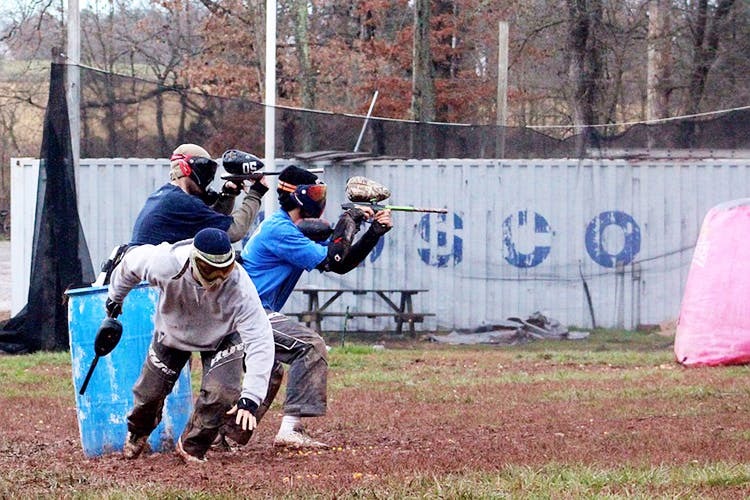 Bundle up your homies and get to this paintball centre to amp up your weekend. Dress up in badass costumes, grab those paintball guns and jump into the warrior zone. We believe there is no game like paintball that can quite break a gang of friends. Ushering us into a true battlefield with top-notch facilities is Odyssey Wonder — an outdoor gaming arena. This arena has apparently brought a beach to Hyderabad with its beach volleyball. We checked out the arena and found it was quite limited in terms of activities but well-maintained and has a food court too. Serving its deed well for a half-day outing for a large group, here, we can indulge in paintball, volleyball, and cricket without burning a major hole in our pockets (But we'll be burning calories, so wuhoo!). An hour of beach volleyball is priced at INR 800 while two hours of cricket is INR 2,000. For paintball, 40 paintballs are priced at INR 440 and 70 paintballs at INR 570. We recommend going with the 70 because we never know which friend of ours is hiding behind the bush. And we'll totes need enough balls to attack them when the right time arrives. So, ditch watching a movie this weekend and play a game or two of paintball. Wear your injuries and scars proudly! If the Kompally branch of Odyssey Wonder is too far for you, there's another branch in Madhapur that you can hit up. Plus, there's a drive-in called Retro right next door. So, burn calories and then gain some!